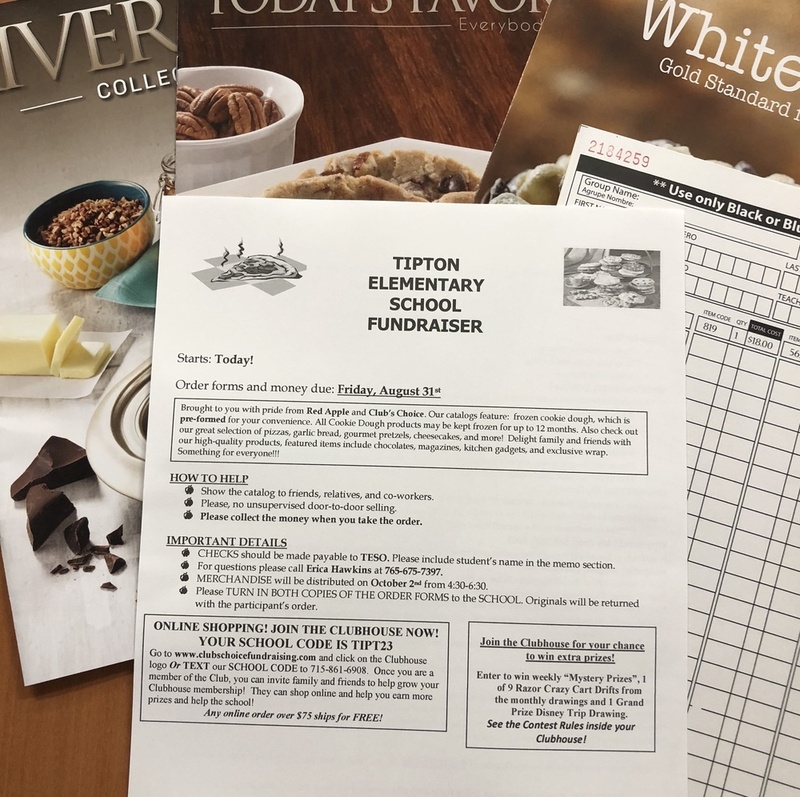 2018 Tipton Elementary School Fundraiser starts today! The funds will be used to help support STEM within our school. There are three catalogs to shop from. One has frozen cookie dough, which is pre-formed for your convenience. Another features pizzas, garlic bread, gourmet pretzels, cheesecakes, and more! Furthermore, other high-quality product options include chocolates, magazines, kitchen gadgets, and exclusive wrap. Orders are being taken until August 31. Merchandise will be distributed on October 2nd from 4:30-6:30pm. Online Shopping is available! Our school code is TIPT23! You can order online at www.clubchoicefundraising.com and click Clubhouse logo or TEXT our school code, TIPT23, to 715-861-6908. Once you are a member of the club, you can invite family and friends to help grow our Clubhouse membership! They can shop online and help our school.